The Sprog's Life : Reality! So I wanted to come back in full spirit with my blog last night and keep it light hearted. But this blog I do want things to be very real too! Yesterday was one of my hardest days since waking up. I couldn't relax,or get comfortable. I'm constantly being told my heart rate is so high and having lots of ecgs. The team here are great and my nurse Natalie who actually is friends with my cousin (small world again) she's amazing! And been very lucky to have her these past few days! She's very relaxed and claiming and gets things done asap. I started off so well yesterday and day before I had washed and felt a million dollars! But it was very clear after Tuesday morning Tuesday was a bad day! George started this blog but is struggling to finish it so has asked me to write how she's been feeling. 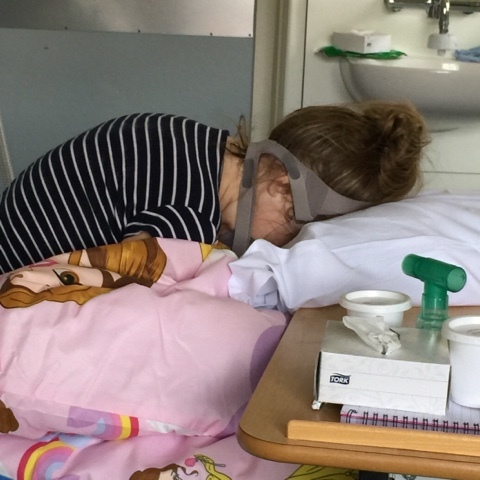 Last Night was hard because there are constantly staff in and out taking bloods and checking blood gases to make sure she is getting enough oxygen and is able to get rid of the carbon dioxide in her blood as with rubbish lungs this is a real problem. George has also started to experience panic attacks, understandable given her constant high heart rate and struggles to take a breath. 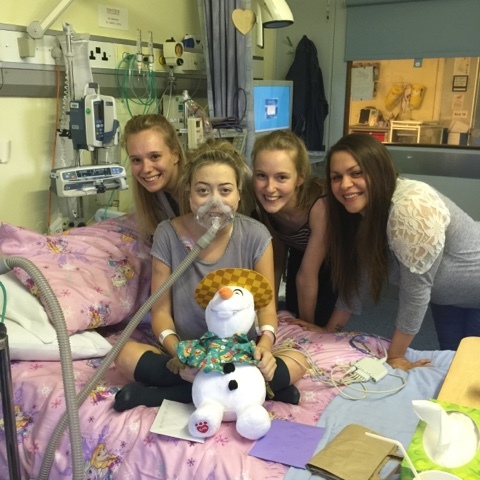 Her bipap assistance has been increased to support her failing lungs and she is fighting hard to keep out of ICU. I have moved into accommodation at the hospital which means I can be with her straight away in the night when she is feeling most panicked and give her a little massage as it relieves her back pain, it's something we have all been doing as it really helps her relax. Trying to eat and do Physio is becoming such hard work as both require George to come off her bipap even for a short time and being on oxygen alone is very scary for her, even to take tablets and clear secretions. During all this we do have times in the day when we get the George we know and love back, even if only for a short time. The lovely Macmillan nurses have sorted out some of her medication and although completely refusing anything like morphine as it makes her foggy and not totally with it they have found a drug to relax her while keeping her aware. 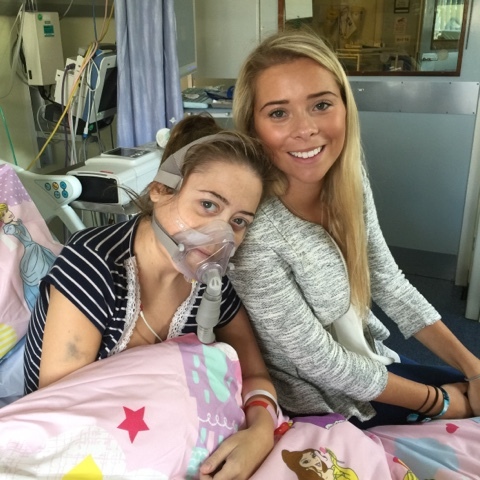 She has had her room "pimped" by her lovely cousins so no one is in any doubt arriving at Harefield where she is and had lots of balloons delivered by her lovely friends along with cards and plaques for her wall. Her ICU nurse and my neighbour tapped on the window to say hi and George gave her the thumbs up and said I'll see u soon, after I get my lungs. There is a volunteer who comes to ICU called Brian to talk to patients while they are sedated he just chats away telling them about mundane stuff but they say if they are able to hear it takes away from the scary alarms and medial talk to calm them. He spoke to George several times in ICU calling her "princess" and has continued to visit now she's in HDU, he's quite a character ands she's become very fond of him so hopefully when she's next needing him to talk in ICU post transplant he's a voice she'll remember. Unfortunatly George's sisters Hannah and Libby have both had tummy bugs for the last week so been unable to come to see her, Hannah has been ok for last 24 hours so had a chance to come for a visit so George want a pic of them both, just waiting for lobs to be well and she can come for a visit too as it's hard for them not to be able to see her. Hoping and praying George gets her new lungs very soon. 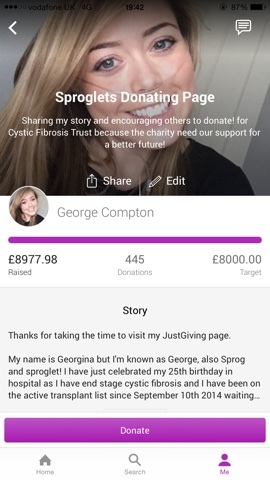 Please could you post the link for her JustGiving page? Thank you.